Un Diet is a fabulous, practical, and modern guide to true health. This diet lasts for 90 days and you will lose 18-25 kilos. If you like to lose less weight, you can stop with the diet earlier. 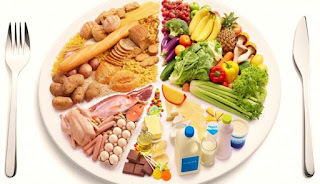 You always start with protein day, followed by starch day, carbohydrate day, fruit day and once again the protein day. The order must not be changed. Eat fruits every day in the following 90 days. Eat two same fruits or handful of dried fruits. Lunch: meat, cooked or roasted (250g) or 3 hard boiled eggs, one piece of bread, salad as much as you want and soup. On this day you can also consume cheese or milk, but in this case you will need to reduce the amount of meat (125g) or eggs (one and a half egg). Dinner: the same foods you ate for lunch, except the soup. If you ate meat for your lunch, you must eat meat for the dinner too. Lunch: beans, peas, spinach and potato. The food should be boiled and spiced with salt, ketchup or boiled tomato. You can also eat one piece of bread and salad. Dinner: the same food as for the lunch, but the dose should be halved. Lunch: cooked pasta seasoned with ketchup, or pizza with ketchup. Or you can eat 3 muffins. Dinner: two pieces of cake, or 3-4 cookies or four balls of ice-cream. Whatever you choose to eat, you must combine it with one line of black chocolate. Eat fruits through the whole day. After the cycle of 7×4 days, or 29 days (three times during the diet) you will need to have a water day. In this day you drink only water, or a sugar-free tea. After the fruit and the water day you can continue with the protein day. You can drink coffee and tea, but without adding sugar at all. Reduce the amount of juice intake to minimum. You should eat everything what was mentioned above because every food has its own role in the organism. The chocolate prevents any possible allergies. The amounts of food are larger than usually, and the foods are very easy to be found. You may notice that you haven’t lowered weight in the first 10 days, but soon you will lose 3-4 kilos very fast. You will need to be persistent.